The top-selling U.K. series for middle-grade listeners now crosses the pond! 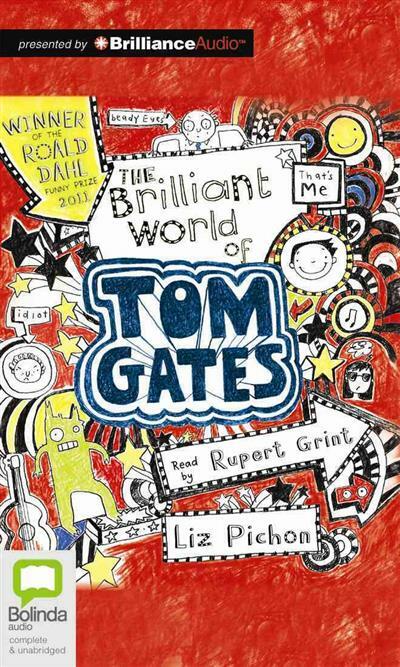 Meet Tom Gates. When his teachers don t have their beady eyes on him, he likes to draw pictures and write about stuff, like last summer s worst camping vacation ever (five merits! ), or how much he hates ... read full description below. The top-selling U.K. series for middle-grade listeners now crosses the pond! Meet Tom Gates. When his teachers don t have their beady eyes on him, he likes to draw pictures and write about stuff, like last summer s worst camping vacation ever (five merits! ), or how much he hates sitting next to nosy Marcus Meldrew, the most annoying boy at school. All Tom really wants is to score tickets to see the best band ever, Dude3, when they come to town, and to impress Amy Porter, who is very nice and smart (but is currently ignoring him). Tom s teachers think he is easily distracted and lacks focus, but that s a bit harsh can he help it if his grumpy big sister, Delia, made him late for school (again), or that last night s homework had to be sacrificed to stave off a vicious dog attack? Master of excuses, creative storyteller, and middle-school comedian extraordinaire, Tom Gates is guaranteed to get kids listening and keep them laughing.